Here at Andy’s Cleaning Company LLC, we believe in making your life easier. That’s why we’re a one-stop shop, offering every kind of cleaning service at affordable prices to help you obtain the cleaner, healthier home or business you deserve. You’ll be amazed at how a routine cleaning service can ease your daily duties as well as your allergies. Residential services: Those small daily chores necessary for household maintenance can pile up quickly, particularly for those with busy schedules and for the elderly or disabled, for whom cleaning can be extra difficult or downright risky. The simple help of a routine maid service can be a lifesaver in such situations. We can address the problem areas that you don’t have time to, specializing in carpet, upholstery, hardwood floors, tile cleaning and sealing, walls, bathrooms, pet problems, and all types of general housecleaning. Let us clean your carpets or power wash your kitchen floors to render your space pristine for store openings or you need any help getting ready for upcoming events. Industrial and commercial services: For heavy-duty industrial cleaning services, Topeka, KS, business owners turn to us. Our carpet cleaning and power washing services will render your space pristine. No job is too big or detailed for us, whether you need services for a retail store, restaurant, vacant or for-sale property, office, church or religious center. Carpet cleaning: We offer miraculous carpet restoration, as well as basic stain removal and steam cleaning. You’ll be amazed at how much cleaner and softer your carpet will be once stripped of annoying buildup like dust mites, pet dander and pollen. Upholstery cleaning: Our meticulous process has made us the top upholstery cleaner in Topeka, KS. We ease your allergies by working to eradicate dust mites and we employ steam cleaning to remove those tough stains and deodorize those smells that can build up over the years. We also offer Scotchgard protection to prevent further damages. Tile cleaning: We’ll save you the energy and expense of replacing your floors by reversing their damage. 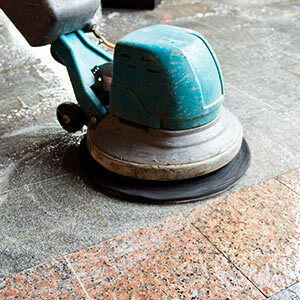 Improperly sealed floors stain over time, so we offer cleaning for your grout and tiles, restoration for tiles or ceramic floors and professional sealing to prevent premature aging and permanent stains. Don’t wait any longer to ensure you’re getting the highest-quality house cleaning in Topeka, KS. Give us a call today at 785-554-7349 to learn more about our services or to schedule your free estimate.